The book gives children new ways to think and talk about social problems at school like bullies, problem students, or even teachers that may cause undue stress and tension. Guide your child or your class through the book by asking poignant questions. Encourage your child and his/her friends or your classroom to openly discuss issues raised in the book. If children have grievances with one another or serious family concerns, ask them to speak with you after the class discussion. Environmental themes run throughout the story. 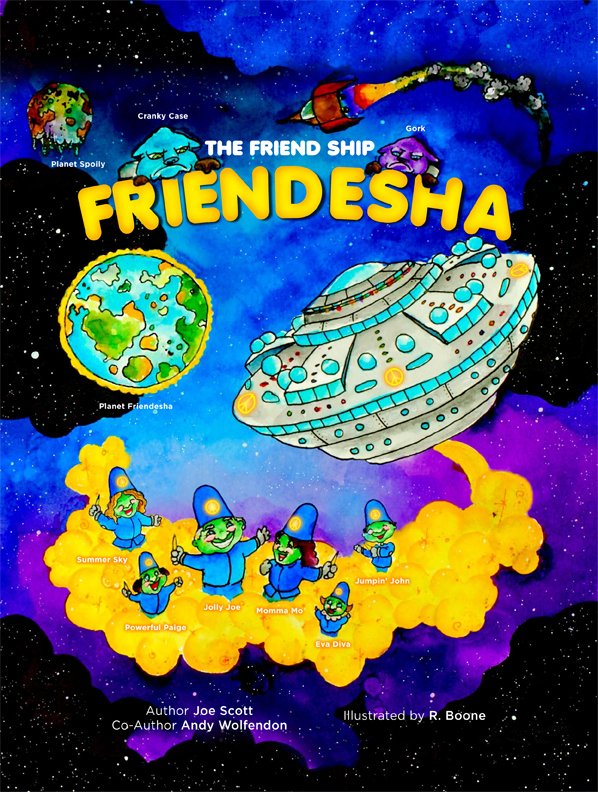 Talk to kids about how they should take care of our planet, and things they can do to make it more like planet Friendesha and less like planet Oily Spoily. Sign up for our newsletter and blog updates for ongoing opportunities for learning about anti-bullying and the environment.